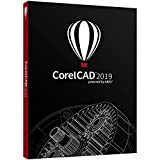 CorelCAD is a powerful but affordable 2D and 3D CAD software package, with versions available for Microsoft Windows and the Apple Macintosh. The program includes a full set of 2D precision drafting tools, as well as 3D viewing and modelling tools. CorelCAD uses DWG (the format used by AutoCAD) as its native file format, but is also compatible with other important AutoCAD file formats like DXF and DWF. Additionally, the program can export to other Corel formats such as CDR (CorelDRAW) and DES (Corel DESIGNER) allowing drawings to be used in these illustration packages. Affordable CAD software for expert results. Enhance your visual communication expertise with the precision of superior 2D drafting and 3D design tools available in CorelCAD 2019. It’s the smart, affordable solution for drawing detailed elements in technical design. With native .DWG file support, and optimization for Windows and macOS, this computer aided design software can increase productivity and performance. Increase your visual communication knowledge with the precision of superior 2D drafting and 3D design tools available in Corel CAD 2018. It's the smart, affordable solution for drawing the detailed elements required for technical design. It provides an enhanced, manageable user interface for workflow efficiency and native .DWG file support for compatibility with all major computer-aided design programs. Enjoy enhanced speed and impressive performance and freedom on the platform of your choice with optimization for Windows and mac OS. Corel CAD 2018 also provides flexible expansion options, enriched 3D editing and productivity tools, and an interactive environment for educators and students to thrive. Affordable CAD software for expert results. Enhance your visual communication expertise with the precision of superior 2D drafting and 3D design tools available in corelcad 2019. It's the smart, affordable solution for drawing detailed elements in technical design. With native.Dwg file support, and optimization for Windows and macOS, this computer aided design software can increase productivity and performance. Enhance your visual communication expertise with the precision of superior 2D drafting and 3D design tools available in Corel CAD 2018. It's the smart, affordable solution for drawing the detailed elements required for technical design. Corel CAD provides an enhanced UI for workflow efficiency and native .DWG file support for compatibility with all major CAD programs. With optimization for Windows and , you can enjoy improved speed and impressive performance on the platform of your choice. 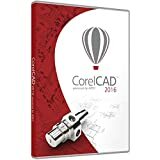 Corel CAD 2018 offers enriched 3D editing and productivity tools, such as advancements in working with tables and dynamic custom coordinate systems, to ensure both new users and existing customers can solve any workflow need. Design with confidence using a complete set of professional drafting tools that provide the precision and flexibility you require, including the new Pattern commands and PowerTrim tools. In addition, the Quick Input tools allow on-screen cursor coordination and the Annotative Scale keeps text at a readable size at any drawing scale in your layout. Communicate your day-to-day CAD design needs using Windows Ribbon or classic UI workspaces to achieve graphic superiority. With high-caliber drafting and design tools that are customizable to your needs, you'll have visually rich and impressive results every time. 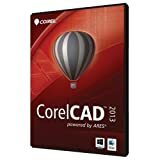 Make the best choice in computer-aided design software with an affordable powerhouse that delivers an intuitive UI, industry standard and customizable tools in an interactive environment. CorelCADTM 2017 delivers the sophistication and precision you need to exceed the CAD results you expect in 2D drafting and 3D design. Work in a familiar environment as CorelCAD 2017 uses .DWG file format natively, offering compatibility with all major CAD programs. The desktop CAD software is optimized for Windows and Mac OS, and CorelCAD Mobile adds support for Android devices to deliver consistent performance and speed across platforms. Additionally, CorelCAD 2017 provides flexible options, such as add-ons and plugins, for both new users and existing customers to match any workflow. Make the best choice in computer-aided design with an affordable powerhouse that delivers an intuitive UI, industry standard and customizable tools in an interactive environment. CorelCAD 2017 delivers the sophistication and precision you need to exceed the CAD results you expect in 2D drafting and 3D design. Work in a familiar environment as CorelCAD 2017 uses .DWG file format natively, offering compatibility with all major CAD programs. 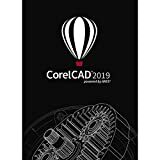 The desktop CAD software is optimized for Windows and Mac OS, and CorelCAD Mobile adds support for Android devices to deliver consistent performance and speed across platforms. Additionally, CorelCAD 2017 provides flexible licensing options for both new users and existing customers to match any workflow. *you bid/buy for installation portabled service *portabled pre-register full version *run directly without install to any computer (provided they meet the minimum technical characteristics required) *the licence is already applied and activated *100% full authentic and legal version *Source version:digital download transfered into DVD-R DISCS *Fast shipping within 7-15 business days-also we offer digital delivery (apply for a limited number of pieces) *You will receive detailed instructions for the correct installation of the program *Condition Note:DVD-R DISCS/SLIM PLASTIC CASE/ARTWORK COVER PAPER***************************************************************************** Get a native DWG, high-performance CAD solution-without the high price-with new CorelCAD 2013. Open, work with and save files in DWG format for easy collaboration with colleagues, suppliers and partners. Be productive immediately in an environment filled with industry-standard features and tools. Communicate your ideas with precision using customizable 2D and 3D design tools. Innovative features like VoiceNotes let you add messages and instructions in your drawing, and CorelDRAW and Corel DESIGNER compatibility enhance collaboration. 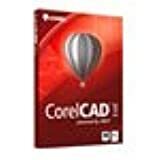 Plus, CorelCAD 2013 is built for both Windows and Mac OS, so it delivers impressive speed and performance on the platform of your choice.